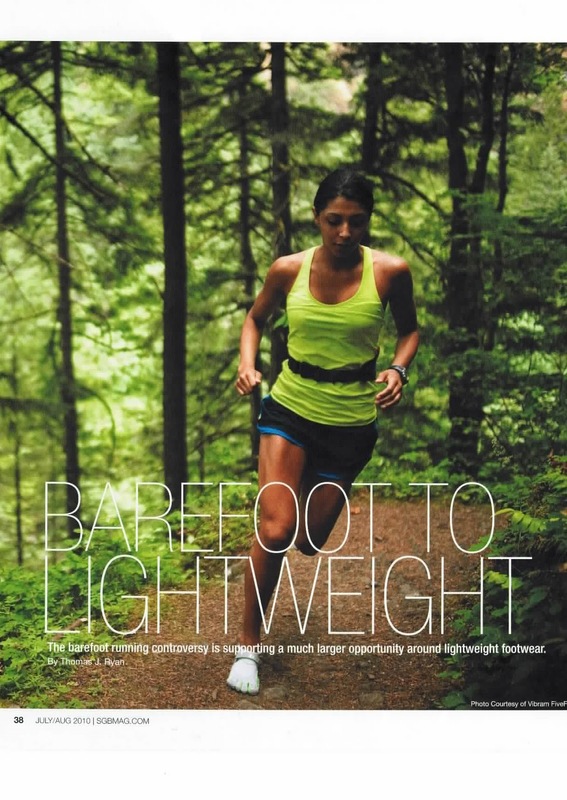 First, it has put the spotlight on running. Not only is participation expected to benefit from the attention, but it's also prompted great debate across the running community around proper running form and shoes. "It's a very confusing time but it's also a good time because people are talking about running, about shoes, how to train, etc," says Andre Kriwet, director of footwear merchandising at Brooks Sports. "And we've talked about stability for the last 20 years. So people are just craving a new story." For designers, it's opened the door for more experimentation. In the past, the focus has been primarily on neutral/cushion running shoes established in the seventies since those were the only marketable ones. "It's kind of taken the handcuffs off and allowed us to really explore the foot's natural motion and how can we let the foot do all the things that it's naturally built to do while still giving protection from the road," says Patrick O'Malley, SVP of global product, Saucony. "Consumers are now willing to try other options. So especially for our designers, it's actually very liberating to be able to explore different biomechanics within shoes that maybe we weren't able to before because the consumer maybe wasn't as open to it." From a commercial standpoint, it's fed a burgeoning opportunity around lightweight footwear. Indeed, vendors are quick to note that minimalist running shoes aren't new. Racing flats have long been used for track and field and many long-distance runners mix in lightweight shoes as part of their training regimen. Many runners in markets such as Asia and Europe still favor lighter, more minimal shoes than Americans. But with advancements in foams and meshes, running shoes in the United State have been getting lighter and lighter over recent years, and consumers are responding. Ian Adamson, directory of product development and education at Newton Running Co., says the human body has not evolved to run barefoot on the hard surfaces such as concrete and asphalt. But he believes modern running shoes effect gait in a harmful way and more minimalist styles are healthier. "We believe that a well designed shoe should allow you to run as if you are barefoot, in other words allow your natural running gait, and provide protection from the external environment - cold, heat, hard surfaces etc. Minimalist shoes can do this to some extent." Still, shifting to running barefoot isn't east. "Runner's today, by and large, have deconditioned their feet over years or decades and need to strengthen them to withstand the the forces of barefoot running," Adamson says. "Ultimately a runner who takes the time to condition themselves for barefoot running will have much stronger and healthier feet and more protective running form." kigo shel looks interesting. but will it stay on even on speedwork sessions?